The New Hampshire Attorney General's office has identified the victim who was fatally shot Sunday afternoon in a hardware store parking lot in Goffstown. Eighteen-year-old Ian Jewell of Manchester was found suffering from a gunshot wound by police around 4:20 p.m. at the Ace Hardware Store's parking lot on Depot Street. Jewell was taken to a local hospital, where he later died, according to officials. An autopsy conducted Monday determined that the cause of death was a single gunshot wound to the chest and the manner of death is homicide, but investigators haven't released many details about the crime. 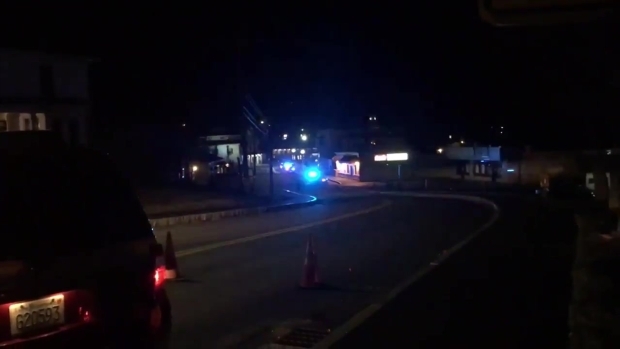 Investigators say 18-year-old Ian Jewell, a senior at Memorial High School in Manchester, New Hampshire, was shot and killed Sunday in Goffstown. The teen was found in a hardware store parking lot on Depot Road and later died at the hospital. School officials confirm Jewell was a student at Manchester Memorial High School, where the Union Leader reports he was an honor student and a member of the school's track and field team. "He was really positive, he tried to keep everybody positive. If someone was feeling down or getting bullied, he would step up and speak up for them," said classmate Matthew Gagne. Students at the high school say Jewell was a popular teen who took time for all of his classmates. He loved tye-dye, was fascinated by the universe, and wanted to know more about the world. Many people are now asking why did this happen and why him. "There's a lot of shock and sadness," said student Alyssa Soucy. Grief counselors were present at the high school Monday, where the flag is at half staff for Jewell, and additional staffers from other schools in the district have been sent to help, according to the school district. 2 Pedestrians Seriously Injured in Westwood, Mass. Following the shooting, local police had said they were searching for a suspect near the hardware store and customers at nearby stores were told to stay inside. The lock down was lifted after investigators said they found everyone who was involved. The limited information being released is only adding to the curiosity of what happened. "We were supposed to do our presentations today, but my teacher held off for a day to show respect," said student Dathan Paradis. 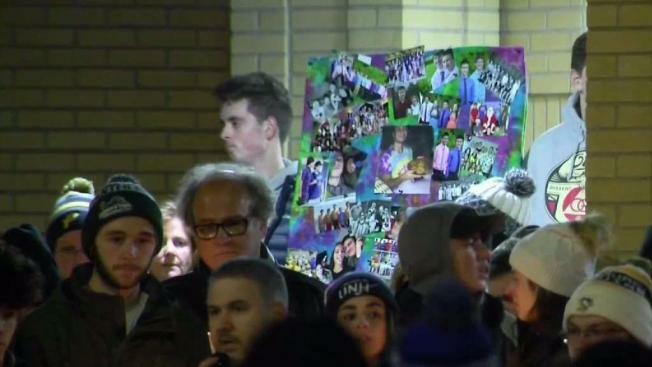 Despite the frigid temperatures, hundreds of students gathered from 6:30 to 8 p.m. at a candlelight vigil at the high school Monday night to pay tribute to one of their own. Jewell was remembered as a smart student who often helped friends with math problems over the phone, even while working his after-school job at Market Basket. "He always had his head up high. He did his job better than half of the people there, and I don't know, just something about him really touched me," said co-worker Zach Goodridge. Jewell's classmates plan to wear tye-dye on Tuesday as a sign of solidarity. "We're all wearing tye-dye in honor of him because it was his favorite thing to wear." As for the crime, investigators have not said what the motive may have been and they have not said if an arrest is pending.